Ms Mandu Makhanya, Career Development Advisor, Directorate for Counseling, Career & Academic Development said that the aim of the careers fair is to bring together employers and graduates. “Graduates learn a lot from these [career fairs] and get to know about career opportunities available for them in these companies,” she said. 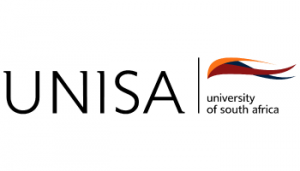 She added that she is excited by the overwhelming response and support from different companies, “I remember when we started a while ago, we only had one company and we now have over 40 companies who participate.” Although some companies undergo restructuring and budget cuts, Unisa still enjoys enormous support from companies and there is growth every year. Cape Town and Durban will host career fairs on 18 July and 6 August 2012 respectively. Ms Makhanya said it is imperative for students to participate in career fairs as it will provide more possibilities and opportunities for them. Also exhibiting at the fair, Colonel Nomtsha Mkutuka said that they want to showcase a number of job opportunities that are available in the Department of Defense. Enos Phiri, Bachelor of Commerce 1st year student said that he was excited to be at the careers fair, “I just registered as a student and I am here to familiarise myself with the happenings of the university.” He added that he will visit the careers fair every year until he graduates. Many students have made the annual career fair part of their academic activities.